AT&T finally did it. The wireless carrier has joined Sprint and T-Mobile in offering unlimited talk, text, and data. But even with the switch, the carrier’s plans remain the most expensive, and some of its plan options are odd. If you live in an area where Verizon, T-Mobile, and Sprint don’t work, AT&T is likely your only option. That said, it offers some solid options for subscribers. There’s no contract, and you have to pay the full, unsubsidized price for each smartphone on your plan. You’ll pay for each device in installments, which typically range between $20 and $30 a month per phone. You can also add your own phone to your plan instead of buying a new one. In the table below, we break down the costs for you for the company’s Unlimited Choice and Unlimited Plus plans. Which one you pick is up to you, but choose wisely: All lines are either one or the other, and you can’t mix and match. AT&T’s Unlimited Choice single line plan is actually fairly competitive, but any of the other unlimited options are higher than every other carrier. Which one you choose depends on your mobile data usage. The Unlimited Choice plan offers standard definition video (480p), 4G LTE speed, and roaming in/calling to Mexico and Canada. Stepping up to the Plus plan upgrades your SD streaming to HD, 15GB of tethering, and a $15 credit to DirecTV or DirecTV now. You also must use autopay to get $5 off the above listed rates, as well as paperless billing. 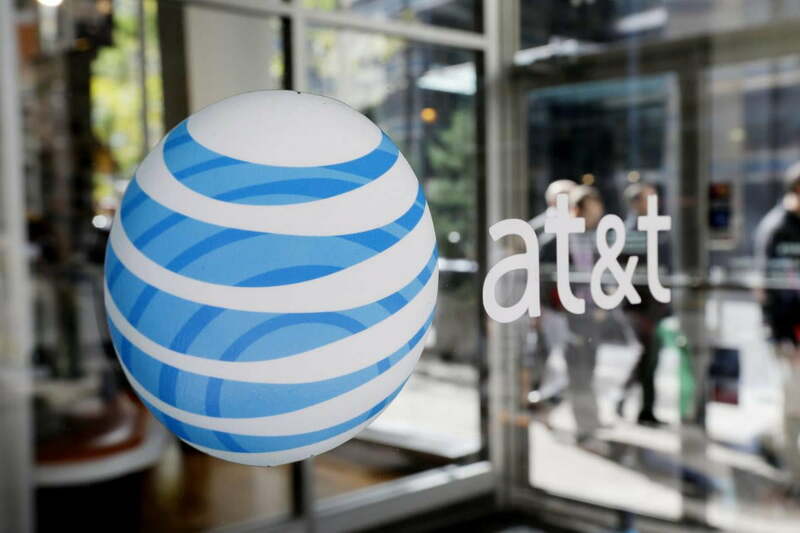 A new option following AT&T’s merger with Time-Warner, the Unlimited &More packages offer much the same as AT&T’s standard packages, but also offer a WatchTV subscription to 30-plus channels, and the option for a free subscription to one of several premium services. The &More services will be available in two packages — AT&T Unlimited &More Premium, and AT&T Unlimited &More. Any &More Premium subscriber will also get free access to Pandora Premium from June 26, as part of their package, in addition to the benefits offered by the standard Unlimited Plus Enhanced plan. Also, &More subscribers will get the same benefits you would expect from the Unlimited Choice Enhanced package. If you’re single and have DirecTV, go with AT&T. The Unlimited Plus option will give you a much better network than Sprint’s, although it is more expensive. Families are better served looking at other carriers, unless AT&T runs promotions to lower the costs. Strong coverage in both rural and urban areas. All but one of its plan combinations are pricey. AT&T also offers decent prepaid plans for those who want to go month by month. These are deals for people who are looking to save some money. For each line, you get unlimited talk and text, as well as unlimited messaging to more than 100 countries. You also have three data options: One to purchase it on an “as needed” basis every 250MB; another with unlimited data, but throttled after 6GB; and finally, another unlimited plan that throttles at the same amount of data post-paid plans do (22GB). Recently, AT&T added a $50 plan that includes 8GB of data, HD video streaming, mobile hotspot, unlimited talk and text to Mexico and Canada, along with unlimited talk, text, and data in Mexico and Canada. In addition, the $85 unlimited plan now includes 10GB of mobile hotspot for use in the U.S. — which slows down to 128 Kbps after 10GB. There aren’t any overages, either. Here is a chart of what you get at every price point. For plans that stream HD video, AT&T will turn the Stream Saver function — which is a manually activated video throttle that reduces video quality to SD — for you. In theory, this should help you conserve some of your data allotment, but you can turn it off at any time you’d like. You get a $5 discount if you sign up for AutoPay under the $35 and $45 plans. For the $50, $65, and $85 plan, you receive $10 off. The plans are also eligible for multi-line discounts, so if you start adding lots of lines to your plan, you can get some money back. AT&T has made recent changes to these discounts — for the second line you now get a $10 discount instead of the previous $5 discount. With line four, the discount has increased to $20 from the $14 it was before. As for line three and five, you’ll receive $10 and $20 off respectively. AT&T Prepaid is best for individuals without heavy data needs. If you’re a family, you can get similar service for less elsewhere. No data overages anymore; speeds slow to 2G after you hit your limit. No credit check or contract. You’ll pay less than you would on AT&T’s other plans. Still pricey for a prepaid plan. AT&T has plenty of great phones, along with a few cool exclusives on new devices. There are no more two-year contracts, though, so you do have to pay full price for your phone. You can do so in monthly installments, which AT&T tacks on to your bill. High-end phones tend to go for somewhere between $20 and $30 a month, while cheaper ones can be had for as little as $5 a month.